IRAs, 401(k)s 403(b)s Oh My! I have heard this too many times: “I am a Millennial in my 20s, why should I start saving for retirement, which is decades away from now.” The answer? Because compounding of dollars and starting earlier will have a bigger impact on your big picture at retirement. There is a rule in the finance world – The Rule of 72 – which assumes if your investment grows at a hypothetical annualized rate of 7 percent, then your investment should double every 10 years. If you start this process early, it will pay off big in the long run. So, put that credit card away and instead of purchasing that new purse or outfit, start contributing to a retirement plan. 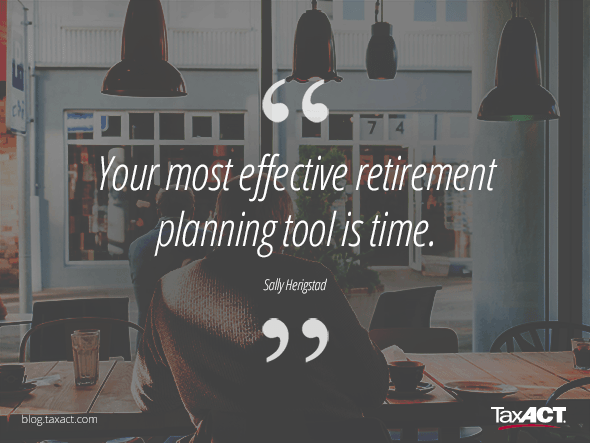 There are many different retirement plans available out there, and in this article my goal is to review each one so you can make an informed decision about which plan you will start investing in for 2016! When you start a new job and your employer is explaining your new benefits, one that is usually offered is an employer sponsored retirement plan. The three typical ones are a 401(k), 403(b) and Simple IRA. A 401(k) is frequently used by larger for-profit companies while a 403(b) is used by nonprofit companies. Both the 401(k) and 403(b) have the same contribution limits and in 2016, the limit is $18,000. If you are over the age of 50, you can contribute an additional $6,000. So, over the course of the year, you can put away $18,000 (or $24,000 if older than 50) into this type of retirement account. Most young professionals do not have the discretionary income to sock away $18,000 annually into a retirement account, but if you can put a little away each pay period, it will begin to add up over time. In most cases with 401(k)s and 403(b)s, you will see an employer match. This means that your employer will match a certain percent of what you contribute to your plan. It’s what we call “free money” so take advantage of it! As mentioned above, another common employer sponsored retirement plan is a Simple IRA, which is typically offered by smaller companies. Simple IRAs have a lower contribution limit than the 401(k) and 403(b). In 2016, an individual can contribute $12,500, and if they are over the age of 50 they can contribute an additional $3,000 . Simple IRAs also offer an employer match. If you choose to contribute to your employer sponsored retirement plans, then your contributions automatically come out of your paycheck, much like your health insurance premiums and taxes. If you don’t have an employer sponsored retirement plan offered through your workplace, there are still ways to save for retirement. An IRA (Individual Retirement Account) is one way to accomplish this. You can contact your bank or financial advisor to open one of these. In 2016, an individual may contribute up to $5,500 to their IRA, and if you are over the age of 50, you can contribute an additional $1,000 totaling $6,500. When I first graduated from college, I did not have a plan offered to me through work so I opened an IRA on my own and every month had an automatic deposit from my checking account into my IRA. I was able to budget this contribution into my cash flow. Since it was automatically coming out of my bank account, much like a bill, I was less inclined to spend the money. Next month I will go into detail about difference between the Roth and Traditional IRA, because that alone would be a whole article. But for now, know that there is a retirement savings option available for you if you are not offered an employer sponsored retirement plan. If you are self-employed, it is worth looking into opening a SEP IRA. Contribution amounts depend on your reported income, so consult with a tax accountant if you are interested in a SEP IRA. As a general rule of thumb, you can contribute approximately 20 percent of your net business income. No matter how you’ve decided to prepare for retirement, I give you kudos! It is never too early to start savings (I was 14 years old when I started saving money from being a camp counselor). The earlier you start the better off you’ll be when retirement comes decades from now. Start on a good foot for 2016 and start saving for your path to retirement now. Next month I will go into detail the difference between a Traditional IRA and Roth IRA. It is important to differentiate between them because the Roth can be very impactful if you qualify for one. As always, please feel free to contact me with any questions at Elizabeth.paal@LFG.com.